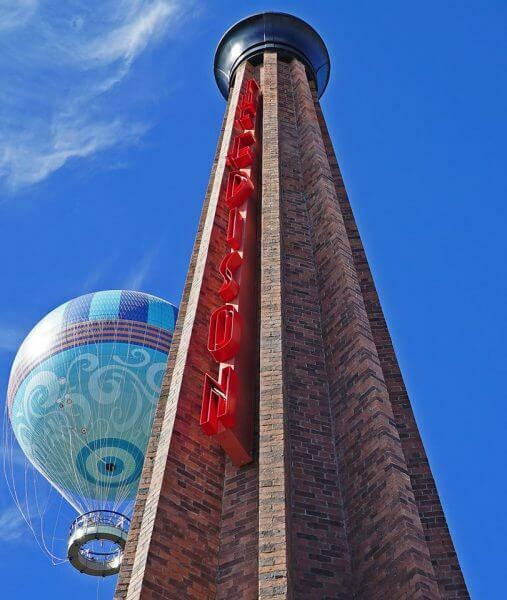 With the installation of a new sign, The Edison is one step closer to opening at Disney Springs. In early 2018, The Edison opens along with Maria & Enzo’s Ristorante, Enzo’s Hideaway, and Pizza Ponte. The restaurant shared this photo of their newly installed sign with us, building excitement for the grand opening later this winter. As previously reported, Patina Restaurant Group is offering a special behind-the-scenes tour of the new eateries prior to their grand opening. The winner and a guest will have the chance to experience a guided walking tour of The Edison, Maria & Enzo’s, Enzo’s Hideaway, and Pizza Ponte before they’re open to the general public. Preview tours will be scheduled for December 6, 7 and 8, 2017, from 9:30 AM – 6:00 PM EST. To enter, click here. Winners will be contacted by Tuesday, November 28.